Former Soviet President Mikhail Gorbachev believes that the refusal of the leaders of some European countries and the United States to come to Moscow to celebrate the 70th anniversary of the victory over Nazi Germany in World War II on May 9 comes as a sign of disrespect toward the people of the former Soviet Union. “Ignoring this opportunity to demonstrate their attitude to the fight waged by the Soviet Union against fascism comes as a sign of disrespect toward the peoples who suffered huge losses, a sign of disrespect toward the boundless courage shown by these people in the fight against the ‘brown plague’,” Gorbachev told Interfax on Thursday. “I am convinced that it would have been impossible to achieve this victory without Russia. Furthermore, I cannot image where this black-and-brown wave would have stopped, and whether it would have stopped at all. If some politicians do not understand this, it is their problem, but I am certain that all people of the world understand this,” the ex-Soviet leader said. “There are the Americans and there are the American authorities. The authorities of the United States are pursuing their ideological and political tasks. 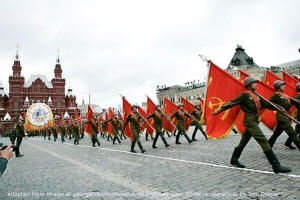 This is how their refusal to come to Moscow for these commemorations can be explained,” Gorbachev said. “Where is common sense here? The actions of the authorities in America and other countries should have at least a drop of common sense,” he added.